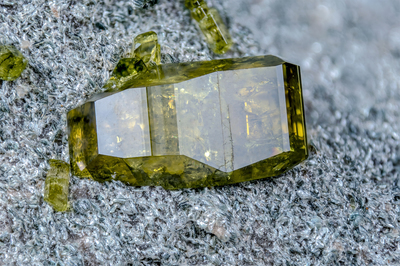 A yellow-green crystal of epidote on bluish-green to bluish clinochlore, on a matrix of rodingite. Collection and photo of Gianfranco Ciccolini. Nikon D750, bellows, Luminar 40 mm.